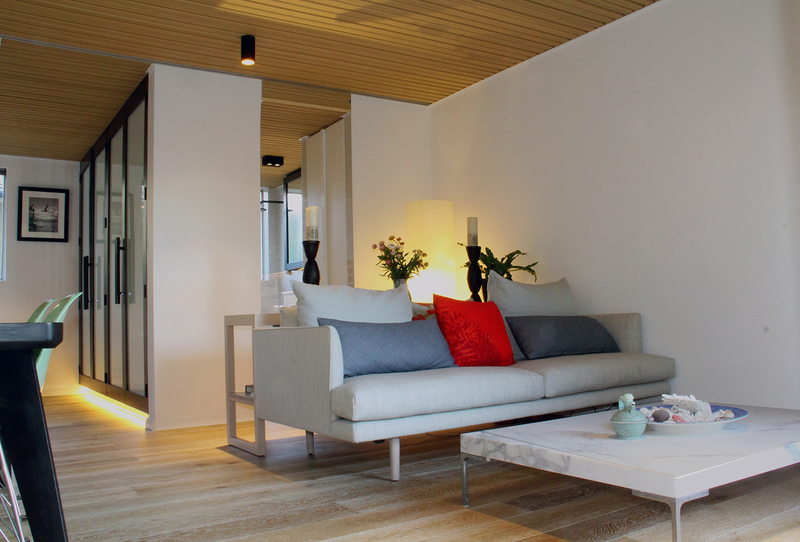 Malvern Avenue is a small apartment located on Sydney’s northern beaches. 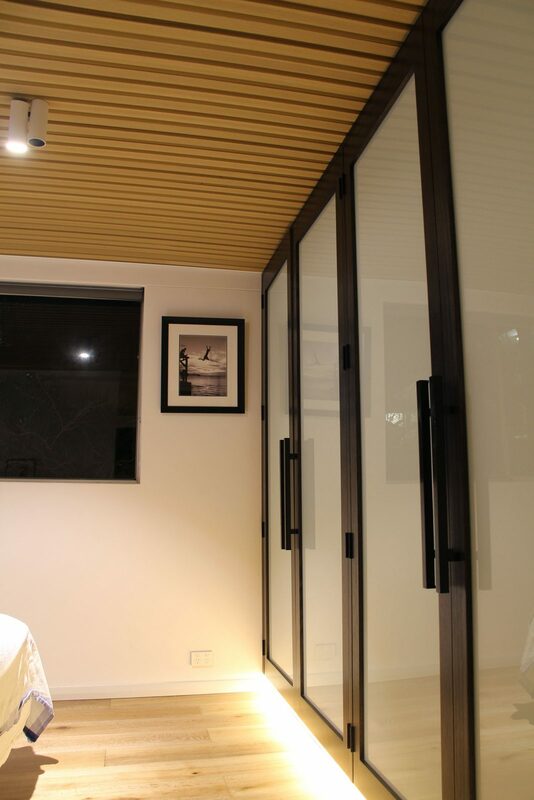 Adjacent to the ocean, the brief was to create a low maintenance, intimate and modern coastal environment. 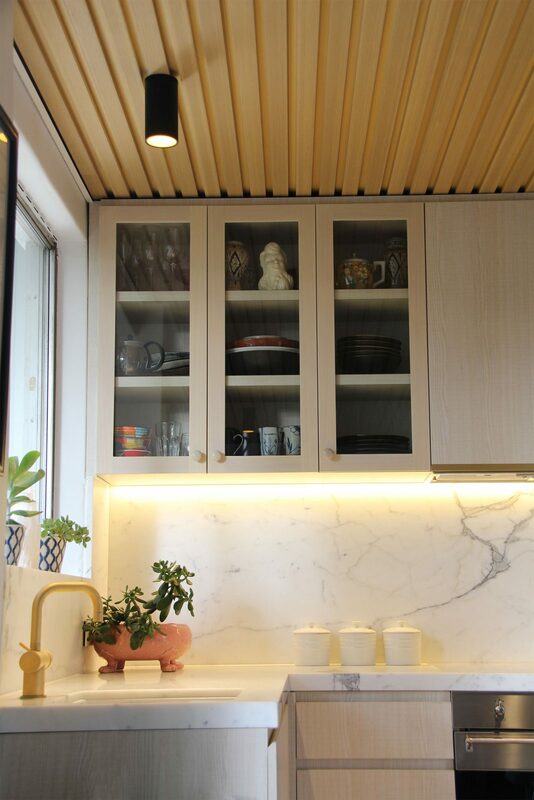 We took visual cues from scandinavian and japanese interiors, in terms of the planning and materiality. 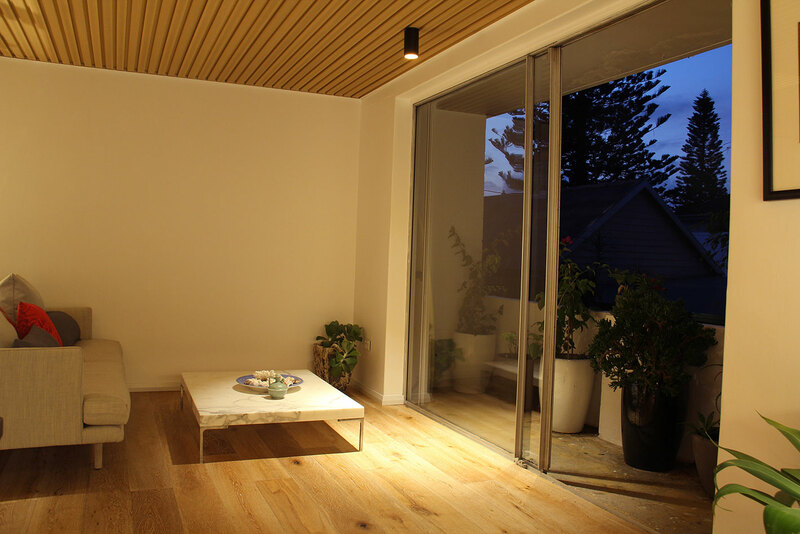 We wanted the interior forms to merge into each other, nothing to stand out too much, the focus being the northern light and leafy green outlook through the full height glazed sliding doors. 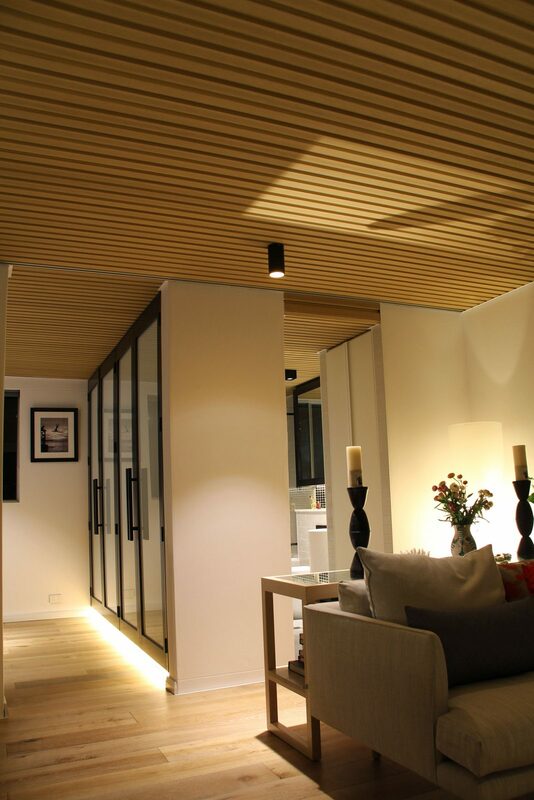 The American oak flooring and slatted ceiling mark the key design features within the interior. 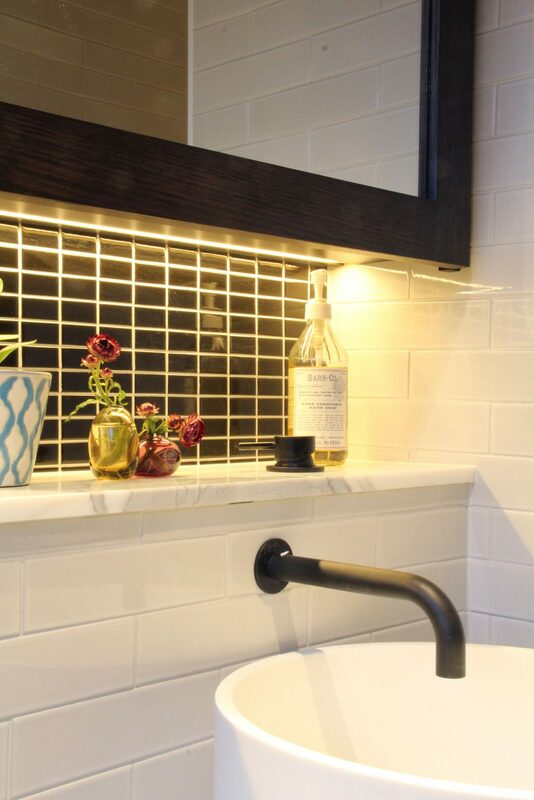 Accents of black and gold are used in the tap ware, lighting and joinery elements. 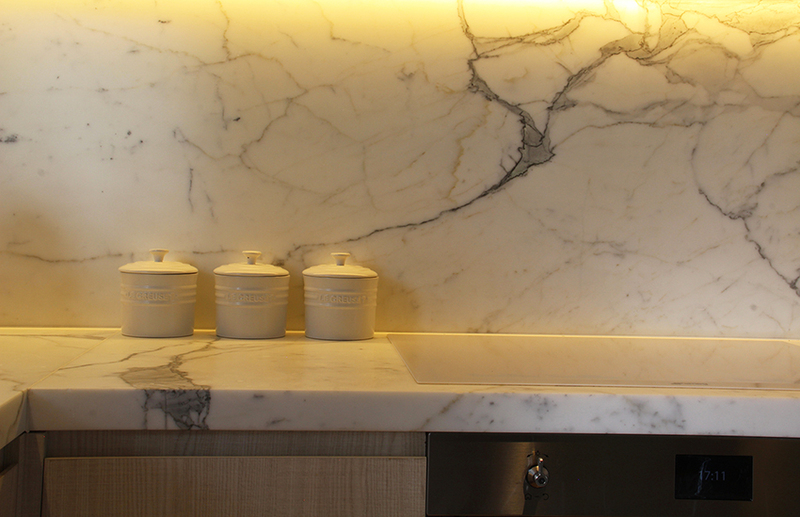 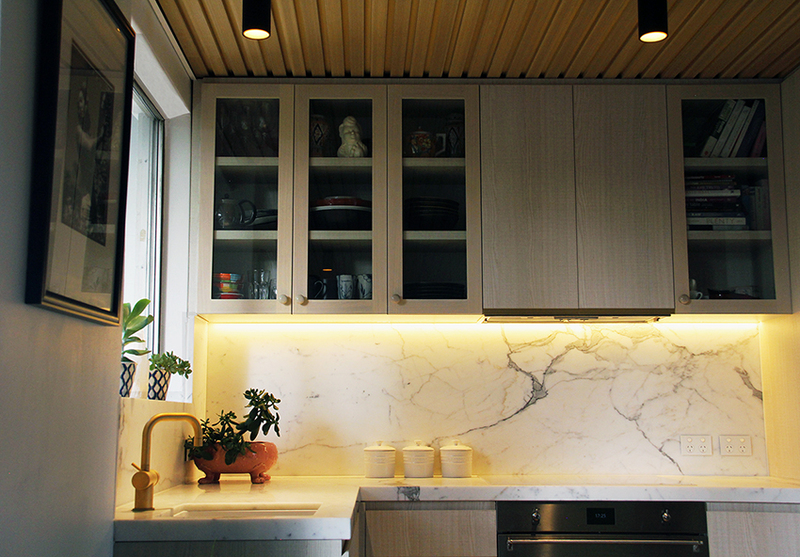 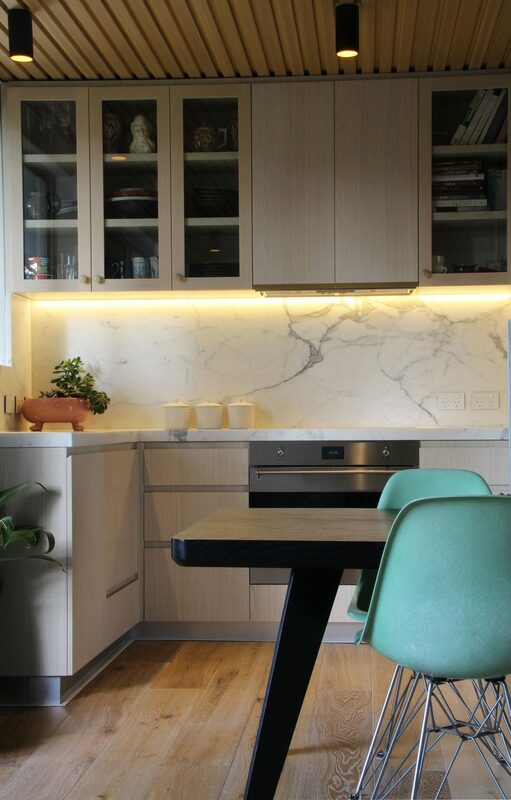 Calacatta grigio marble is used as the kitchen splash back and bench top, with integrated warm led lighting. 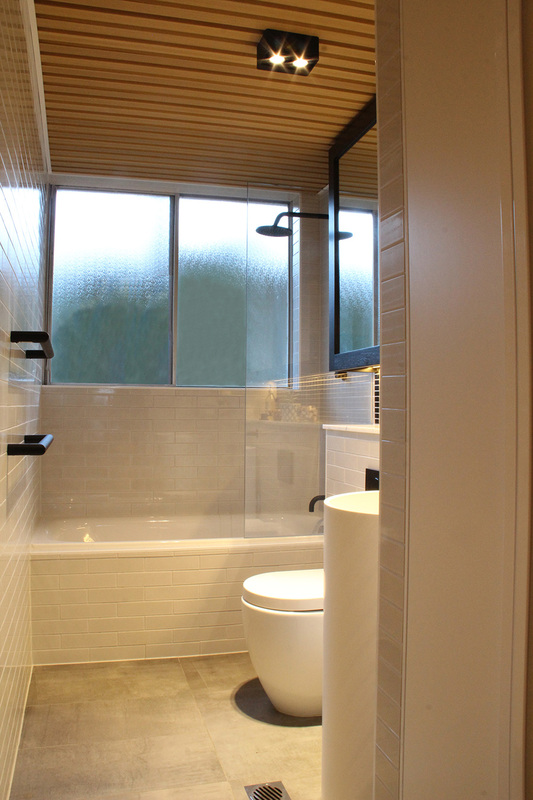 The bathroom is a classic and minimal, with white ceramic brick tiles from Japan and concrete ceramic floor tiles and black tap ware as a design accent.